Feiyu ON App once it connects via bluetooth. 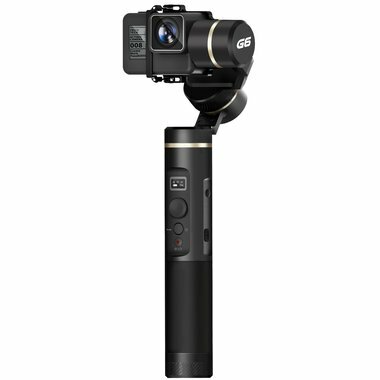 *G6 is compatible with GoPro HERO 6/ HERO 5 and the other action cameras with similar shape and size. With its replaceable holder, G6 can also be compatible with RX0 camera. and camera, working modes, battery life, bluetooth connection etc. panning axis are 360 degree, enabling shooting as you wish. Feiyu G6 is available now. Follow our facebook page and get a Feiyu G6 as low as FREE.